A year removed from the best season in Utah history, veteran head coach Rich Manning can see bright days ahead. After stumbling in 2017, due largely to injuries, the Utes are looking to recapture the magic of 2016. During that campaign, Utah enjoyed the best post-season run in school history and finished with a No. 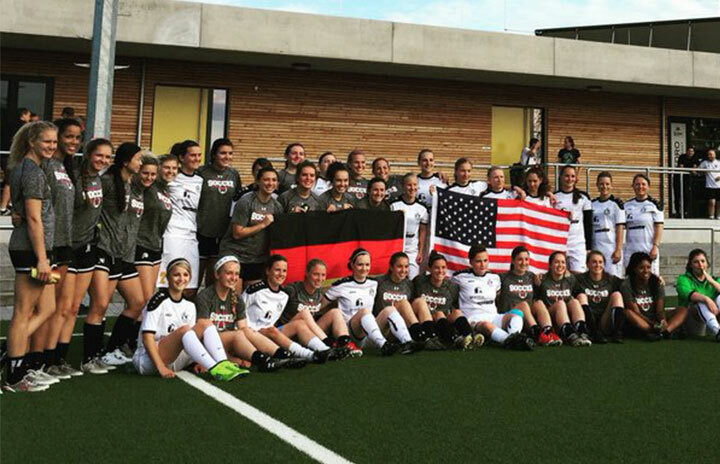 16 national ranking, its highest year-end mark year since 2006. 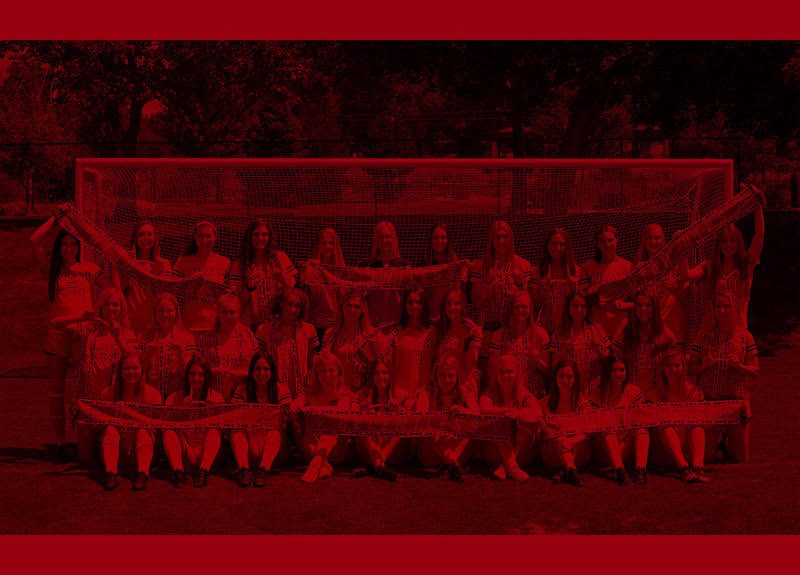 Many key pieces from that squad are still on the roster and once again fully fit, including All-Pac-12 performers Paola van der Veen, Hailey Skolmoski and Tavia Leachman. 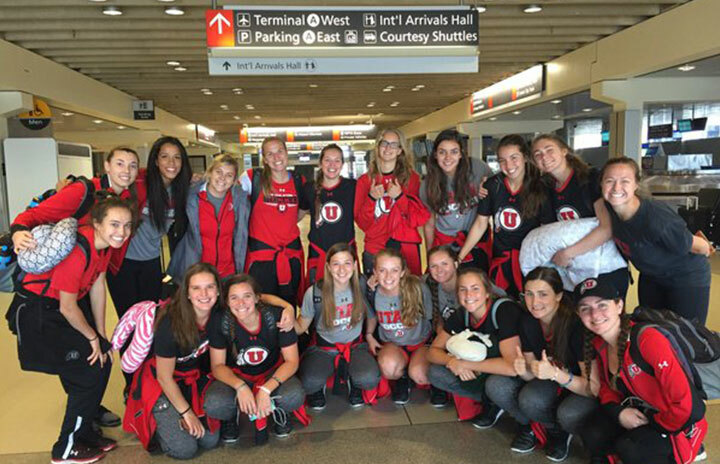 Utah also added 13 newcomers to its solid nucleus. Hermann Award candidate Hailey Skolmoski led the team in goals the last two seasons and is the first player in program history to earn first team All-Pac-12 honors. At the center forward position, freshman Makalya Christensen provides cover for Skolmoski. Winger Max Flom enters her senior season having played in every game of her career. Veteran Ireland Dunn will join her on the opposite side. 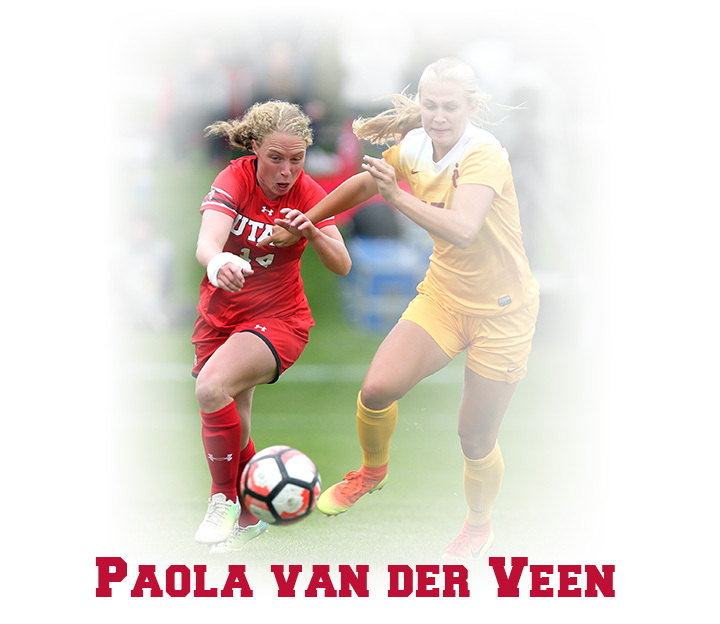 Netherlands native Paola van der Veen, an All-NSCAA and All-Pac-12 selection last season, finished among the conference's top five in goals and points. A pair of redshirt sophomores, Kristin Fairbairn and Natalie Kump, will battle some talented newcomers for playing time. 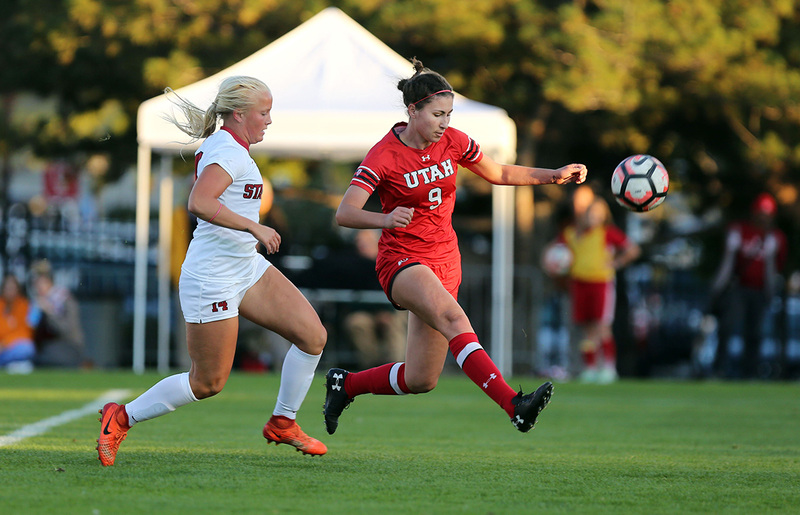 Haylee Cacciacarne played every game last season and led the Utes in assists. Demi Lopez is back after missing all of last year with an injury, while Jessica Hixson came on late in the season. Utah finally has its center-back pairing 100 percent healthy. 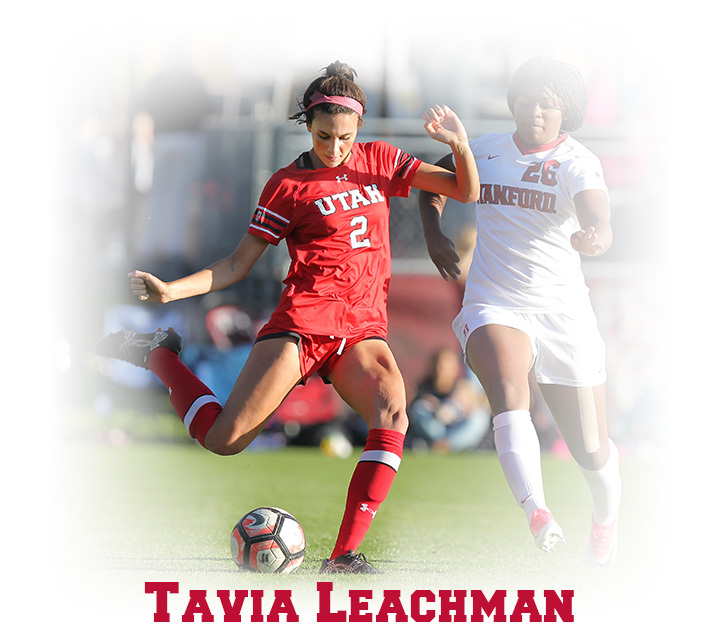 Tavia Leachman, an All-Pac-12 performer and NSCAA All-Pacific Region honoree as a freshman, has fully recovered from injury. Aleea Gwerder, who started every game at outside back as a freshman, has moved to a central position. Her fitness level was on full display during an impressive fall camp. A pair of U.S. 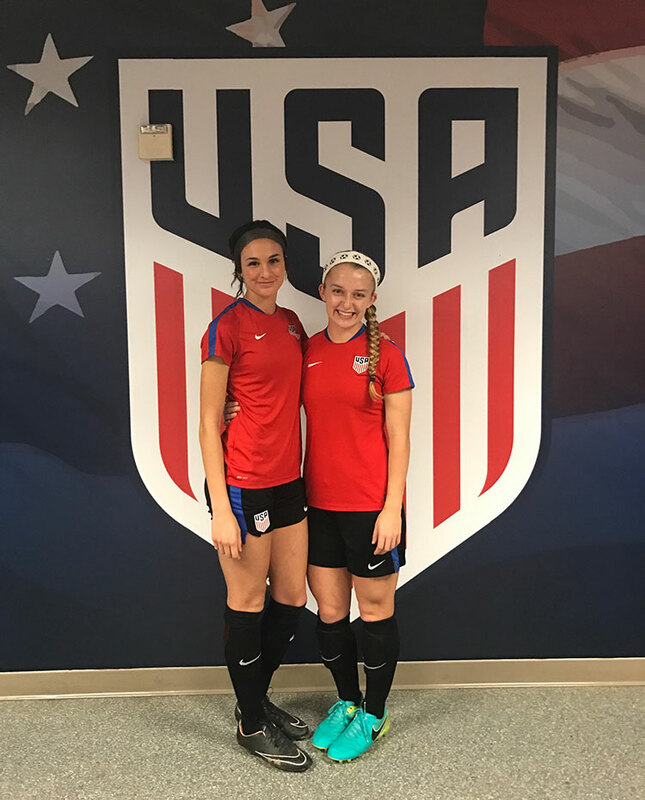 Youth Team selections, Holly Daugirda and Hailey Stodden, are prepared to start at the outside back slots. Tatum Thornton could also see time as a starter after playing 11 games as a freshman. 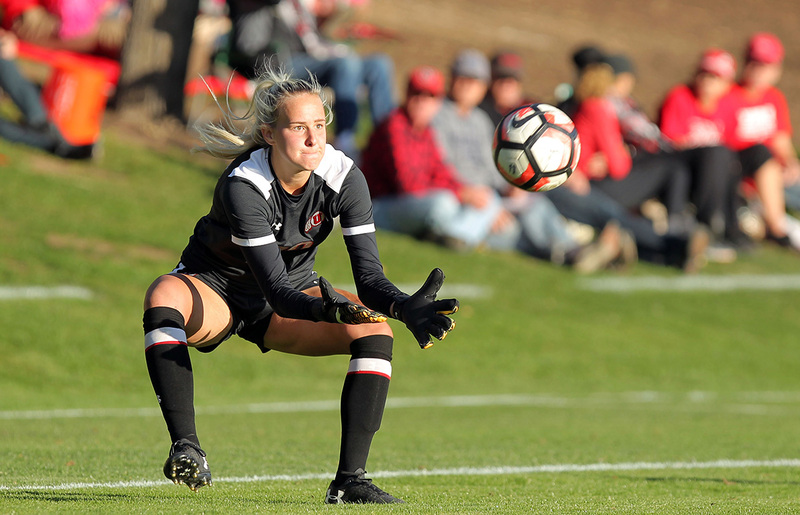 Carly Nelson returns in goal for a third straight season after playing 16 games for the Utes last year. 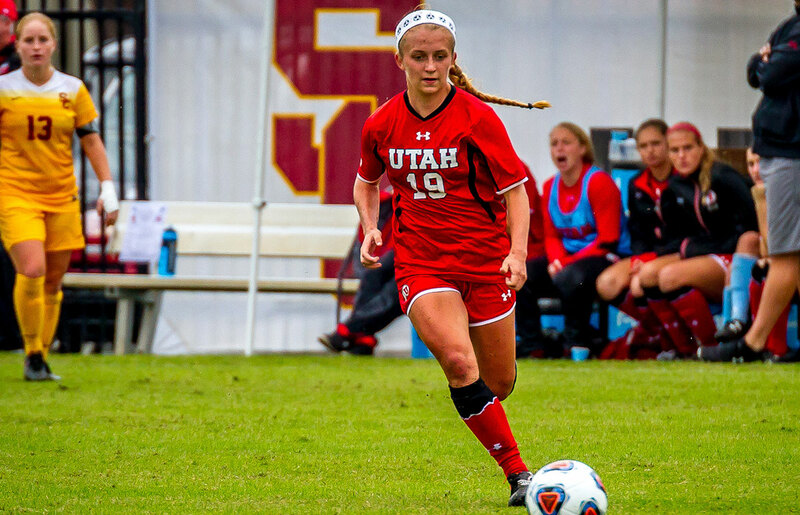 SJ Edwards redshirted last season after earning Oregon ODP Player of the Year honors prior to her arrival at Utah. 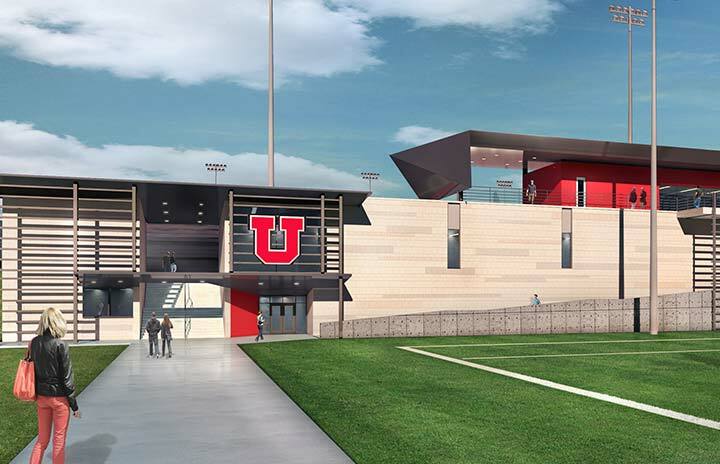 Construction is underway on a new competition and practice complex for the Utah women's soccer and men's lacrosse programs. 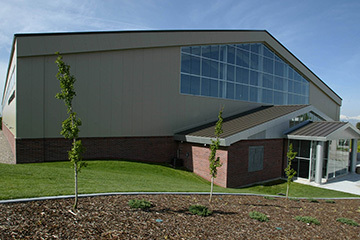 It will be located near the existing McCarthey Family Track & Field and the Dumke Family Softball Stadium off Wasatch Drive on the U. campus. The competition field will be a high-performance sand-based field with drainage, allowing for play on a safe surface even during heavy rain. Lights will be installed, providing the option for night games and televised contests. Phase 1 of project will include the playing field, lights and seating on the east side. Phase 2 will include more seating on the west side and a building that will include locker rooms, a training room, equipment room, coaches' offices, concession stands, rest rooms and a press box. 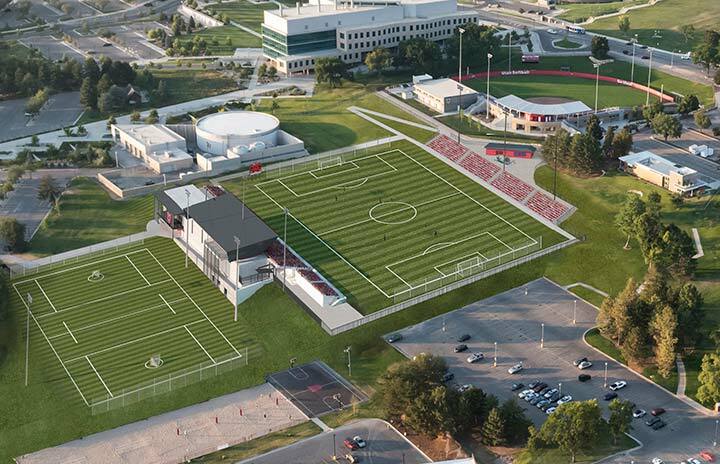 Plans for the complex also include a practice field immediately west of the stadium. 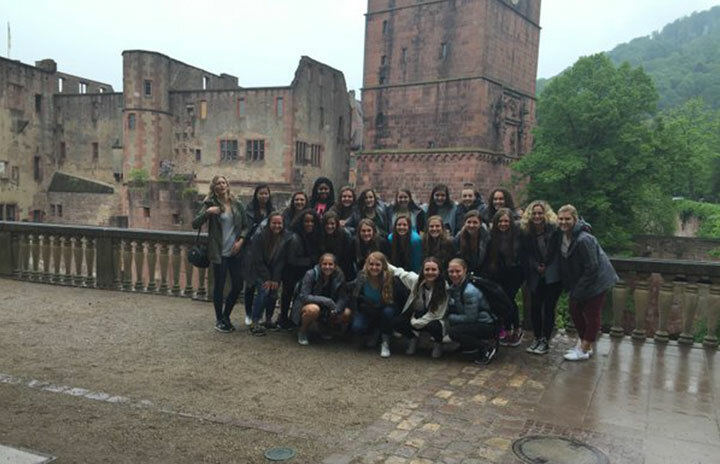 Utah soccer traveled to Germany for three matches during a 10-day stretch in May 2017. 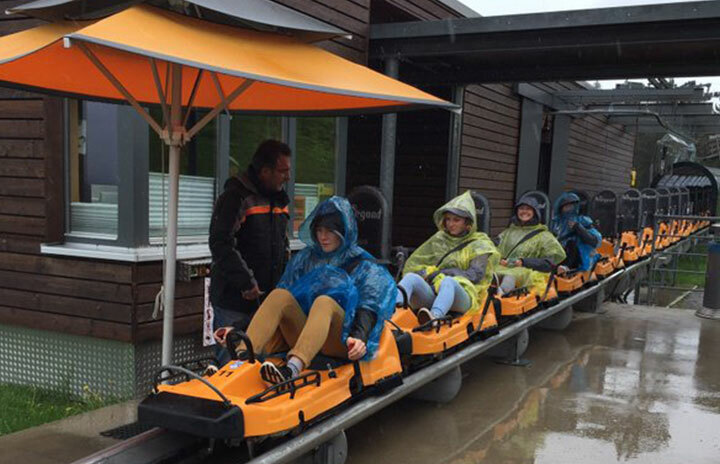 The Utes traveled to a number of cities including Frankfurt, Munich and Augsburg while also making a jaunt into the Alps. 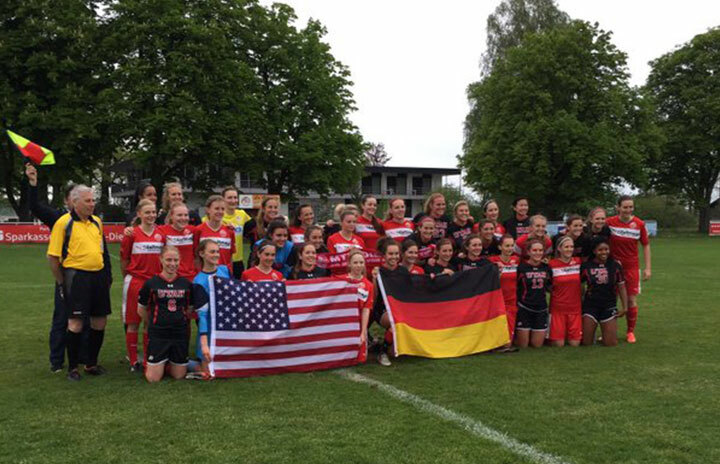 Utah played matches against SC Opel 06 Ru¨sselheim, MTV Dießen and FC Staad. The team also took in a Bundesliga match between FC Augsburg and Hamburger SV, visited a TSV Hoffenheim practice at its training ground, and took a tour of the Allianz Arena, home of German champion Bayern Munich. 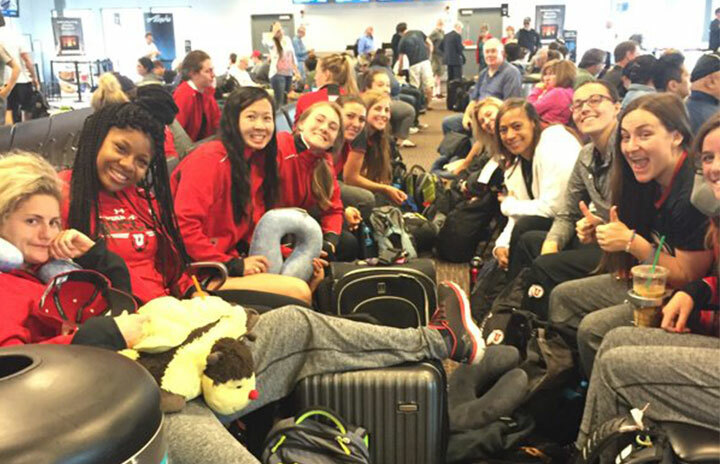 Hailey Skolmoski and Tavia Leachman were invited to the U.S. Under-23 Women's National Team camp from Jan. 6-13 in Carson, Calif.
Come along for the ride as we traveled to Milwaukee and Chicago to take on Marquette and DePaul – our first road trip in 2015. 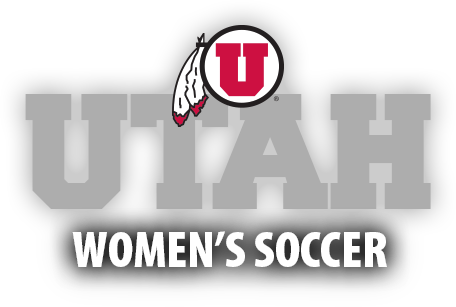 Meet members of the Utah soccer team and find out what being a Ute is all about. Defender – Long Beach, Calif.
Utah knocked off No. 9 UCLA 2-0 at Ute Field in 2016 enroute to recording the best Pac-12 point total (22) in the program's history. The Utes battled No. 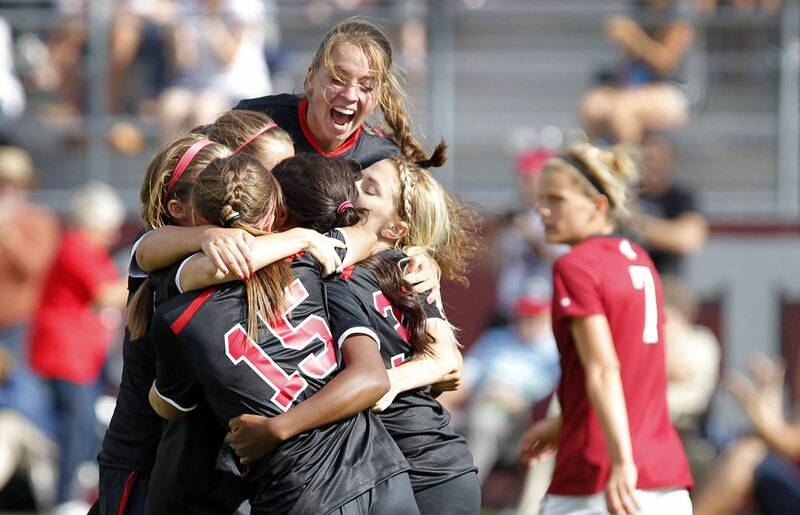 4 Stanford to a 1-1 draw in 2014, pushing its home unbeaten streak to 18 matches. 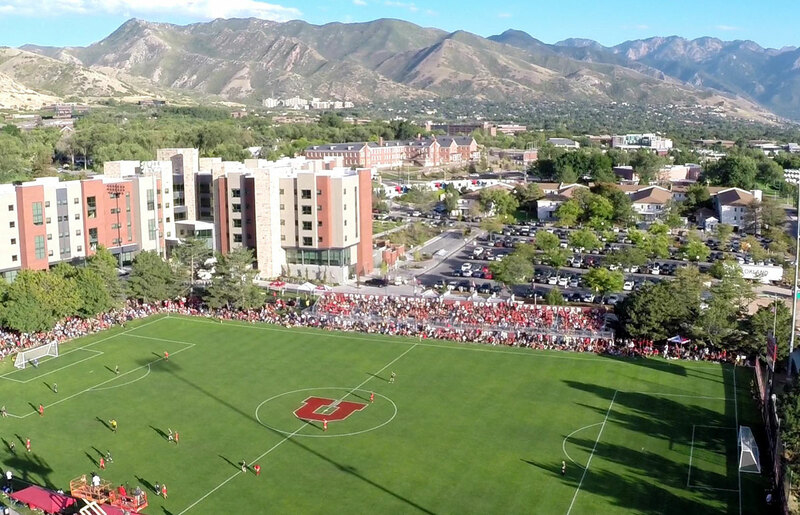 The Utes play in front of some of the biggest crowds in the nation, annually ranking in the top 15 in the nation in attendance. 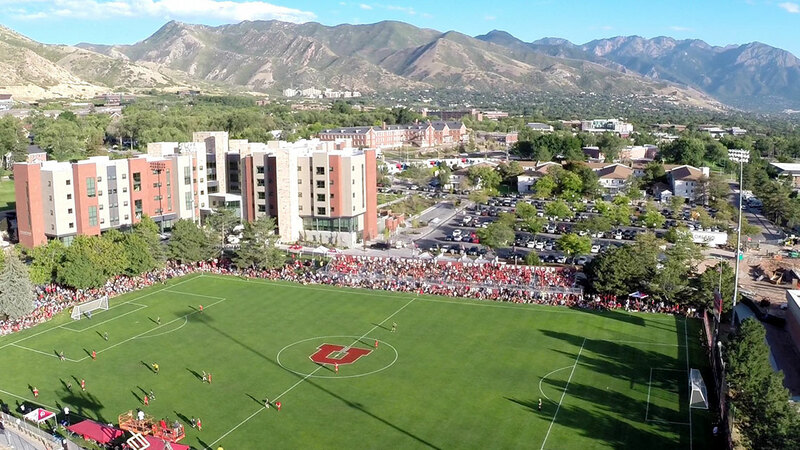 Utah set the Ute Field record by drawing 2,552 for its victory over BYU in 2014. 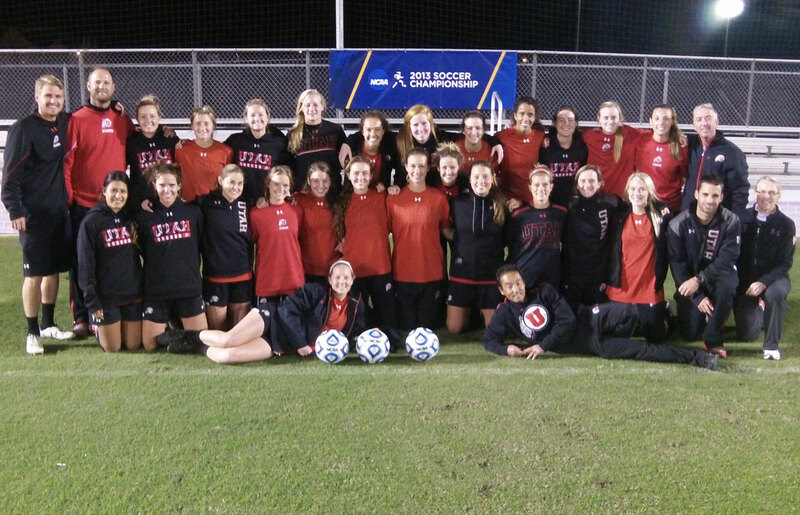 The Utes traveled to Texas A&M for the 2013 NCAA Tournament. 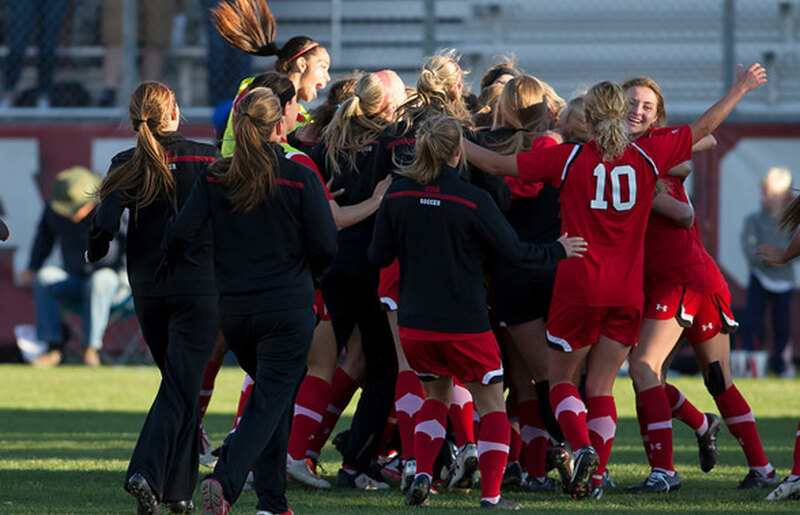 Utah locked up third place in the Pac-12 in 2013 with a dramatic overtime win over Colorado at Ute Field. 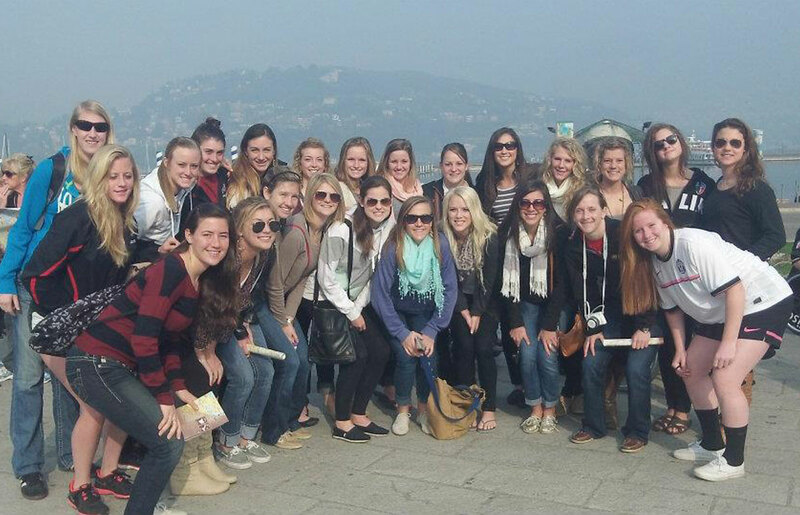 Utah made a trip to Italy in 2012, visiting places like Rome, Siena, Florence and Milan. 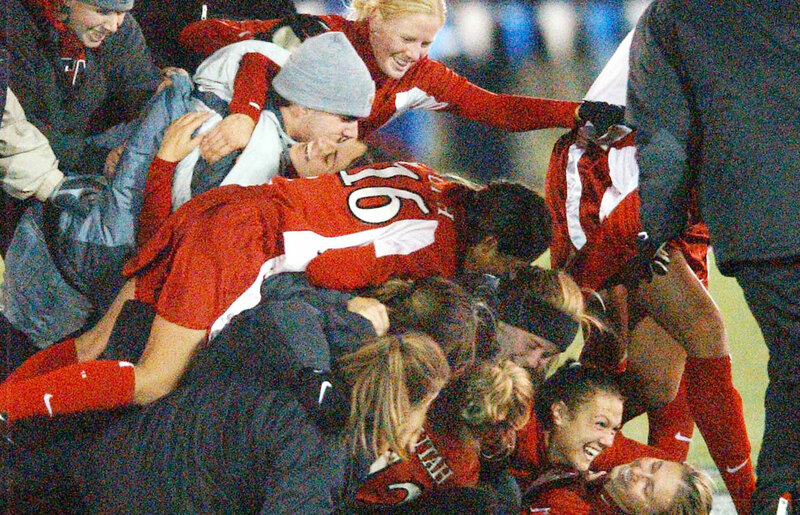 Utah began the Pac-12 Conference era with a 2-0 win at Oregon in 2011. 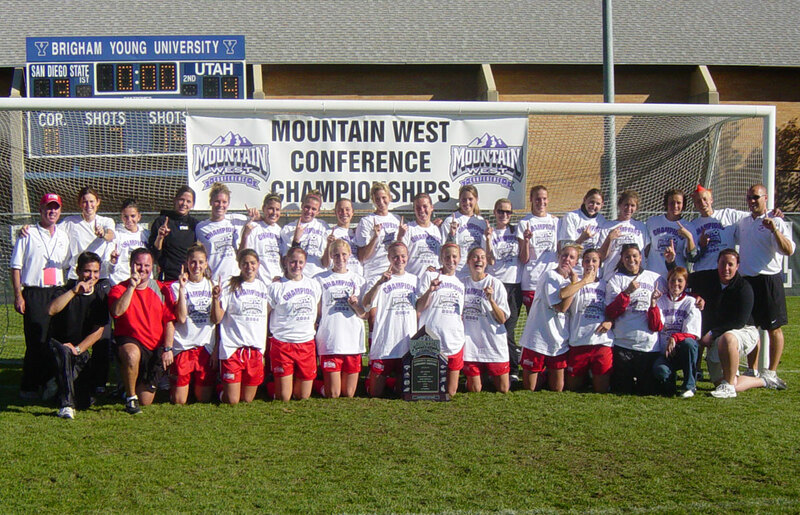 The 2006 Utes defeated BYU 1-0 at Ute Field, which proved to be a pivotal win on the way to its fourth regular-season MWC title. The first night game at renovated Ute Field, complete with a grandstand on the south side, took place on Sept. 9, 2005. 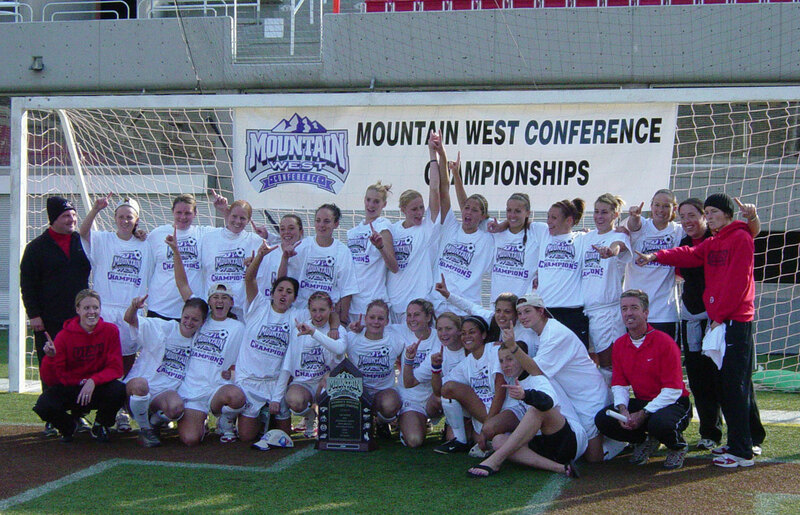 Utah captured its second straight Mountain West Tournament title in 2004, defeating San Diego State. 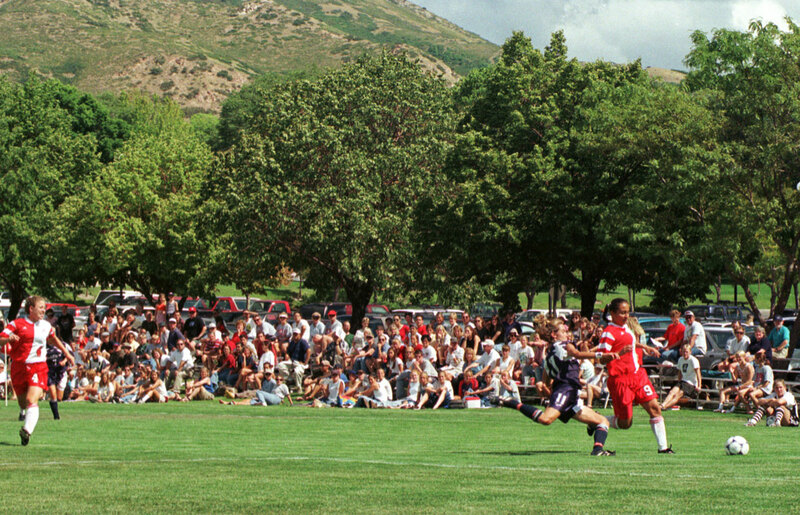 Utah made its first NCAA Tournament appearance in 2002, defeating BYU on its home field in the first round. 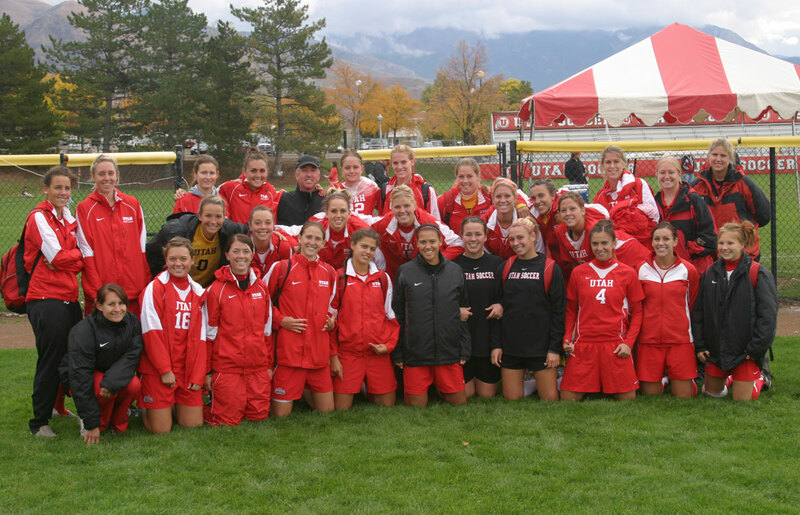 Utah soccer has been a fan favorite dating back to the program's early years. 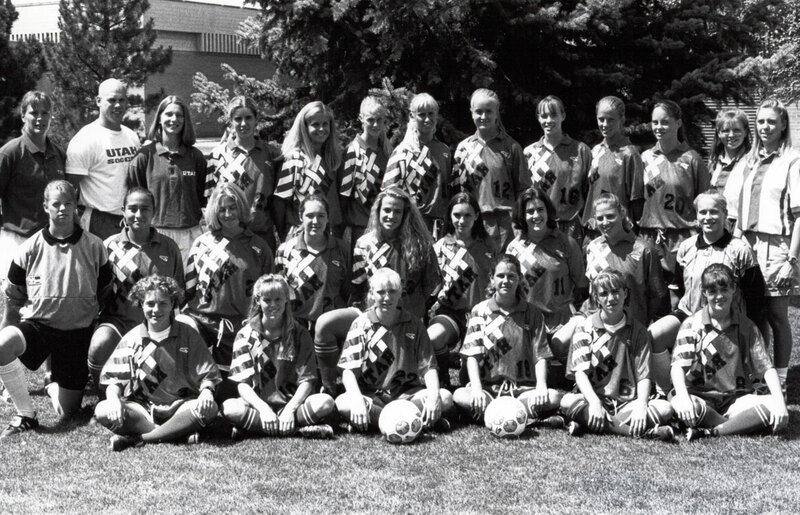 The Utah soccer program fielded its first team in 1995. 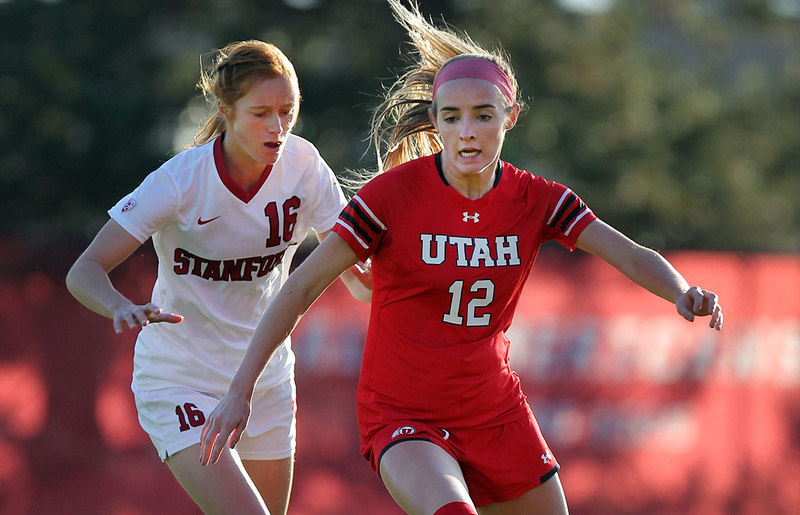 Haily Skolmoski was the first Ute to earn first team All-Pac-12 honors after leading the conference with 13 goals and 29 points. 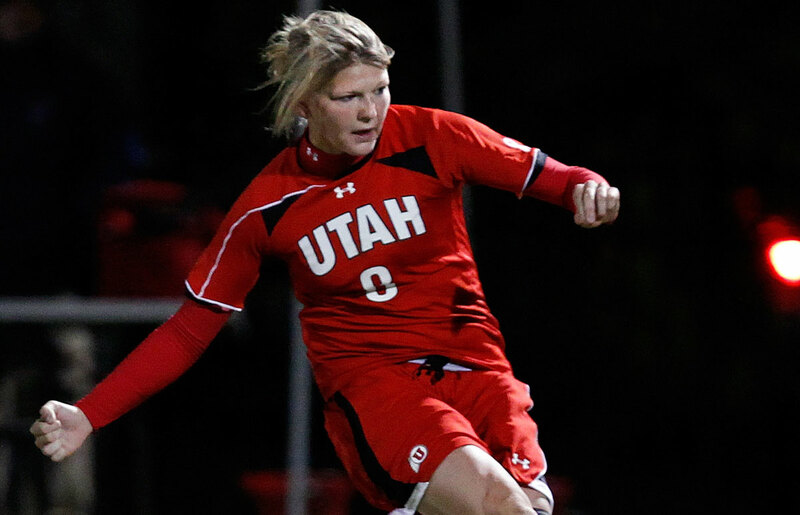 Erin Dalley became the first Ute to earn All-Pac-12 Conference honors in 2011. 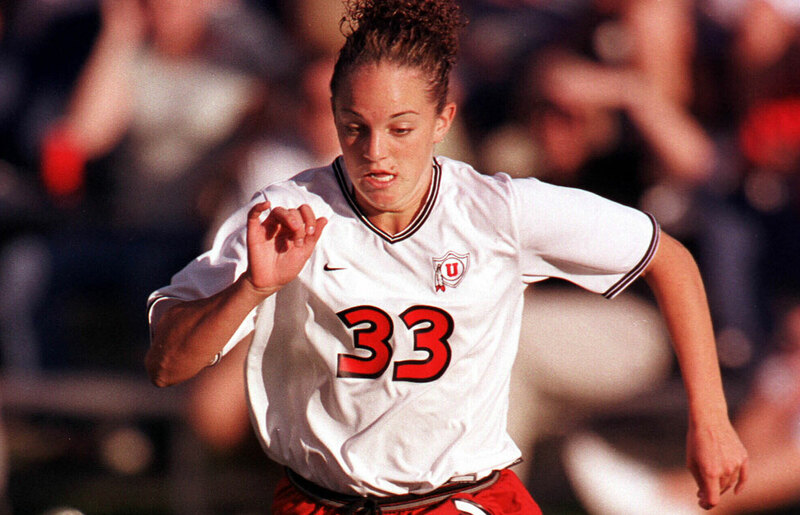 Kelly Isleib, a three-time first team All-MWC performer, is Utah's all-time leader in assists (28). She was a fifth round draft pick by Women's Professional Soccer's Sky Blue FC in 2009. 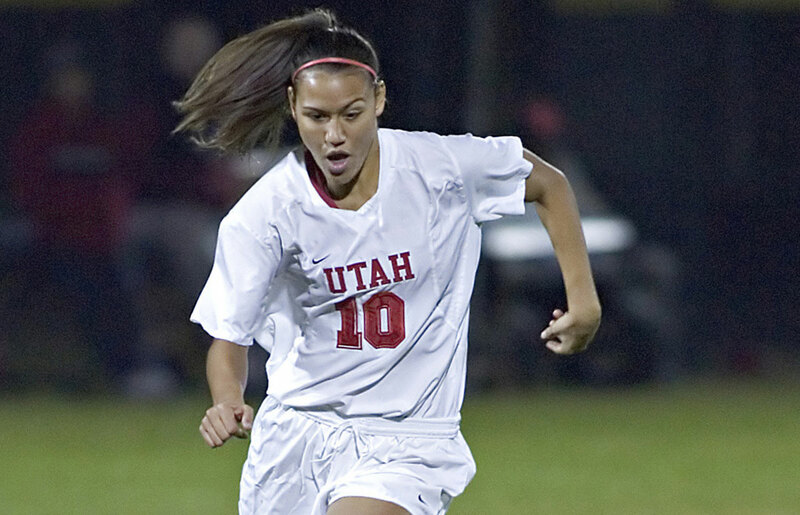 Adele Letro became Utah's first All-American in 2006, garnering second team honors from the NSCAA. 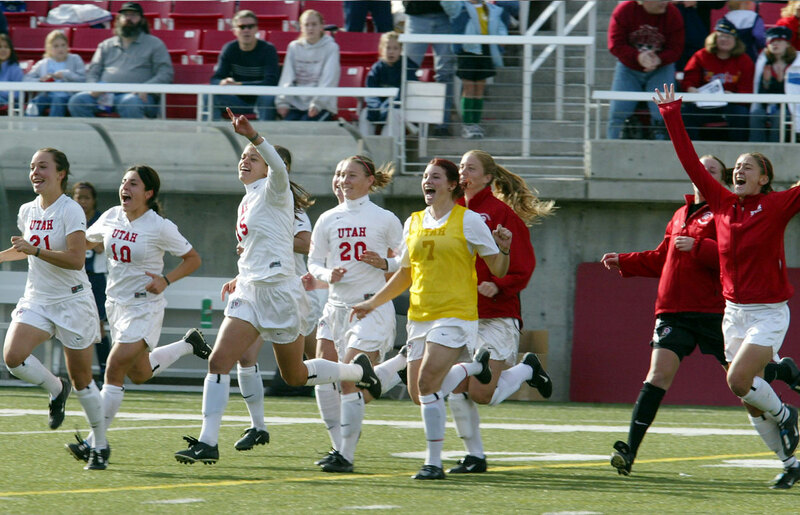 Ashley Mason, Utah's career leader in goals against average (.733) and shutouts (28), was the 2006 MWC Defensive Player of the Year. Amanda Feigt, the only four-time first team all-conference selection in school history, was the 2005 MWC Offensive Player of the Year. She ranks second in career assists (22).After graduating, Amanda played for Berlin in the Frauen Bundesliga. Melissa Wayman was the 2005 MWC Defensive Player of the Year and a two-time first team all-conference pick. 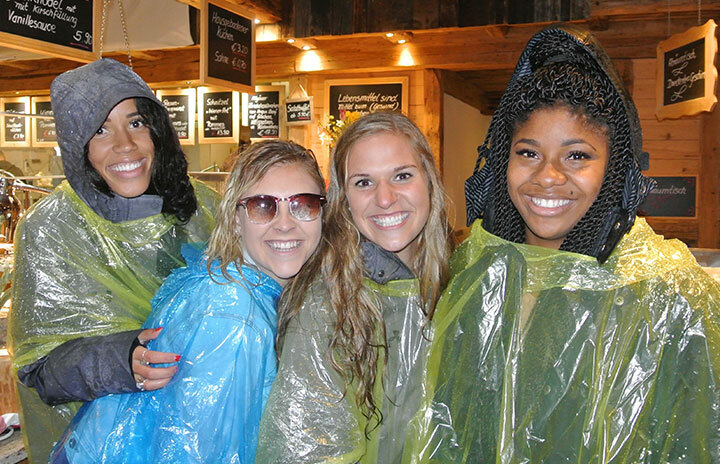 After graduating, Melissa played for SK Trondheim-Orn in the Norwegian 1st Division. 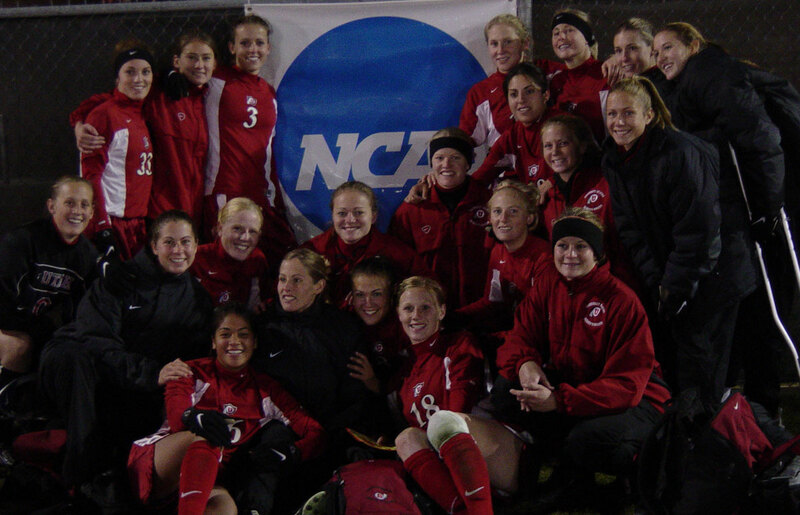 Amber Brower earned 2003 MWC Offensive Player of the Year and first team all-region honors. 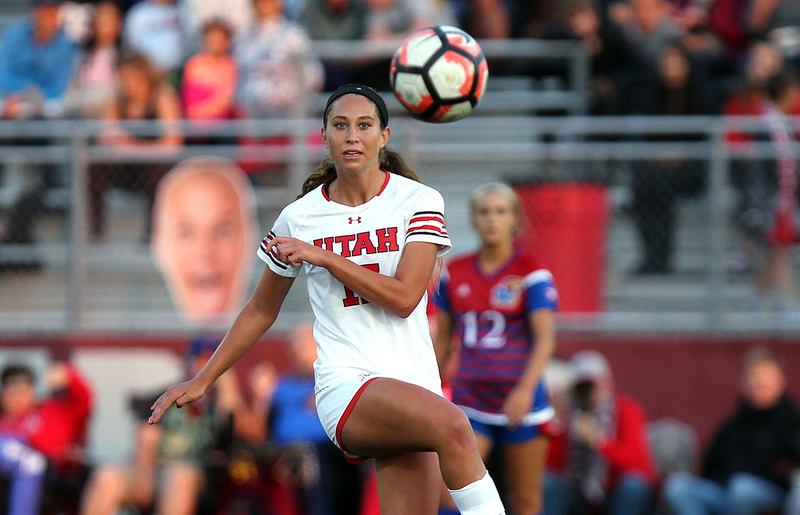 Amy Kofoed, a three-time first team all-WAC pick, remains Utah's all-time leader in goals (46) and points (108). She was the program's first inductee into the Crimson Club Athletic Fund Hall of Fame. Kofoed was drafted by the WUSA's San Diego Spirit in the first round in 2002. Staci Burt was a three-time first team all-WAC selection. She played professionally for the WUSA's Carolina Courage for three seasons after being drafted in the eighth round in 2001. 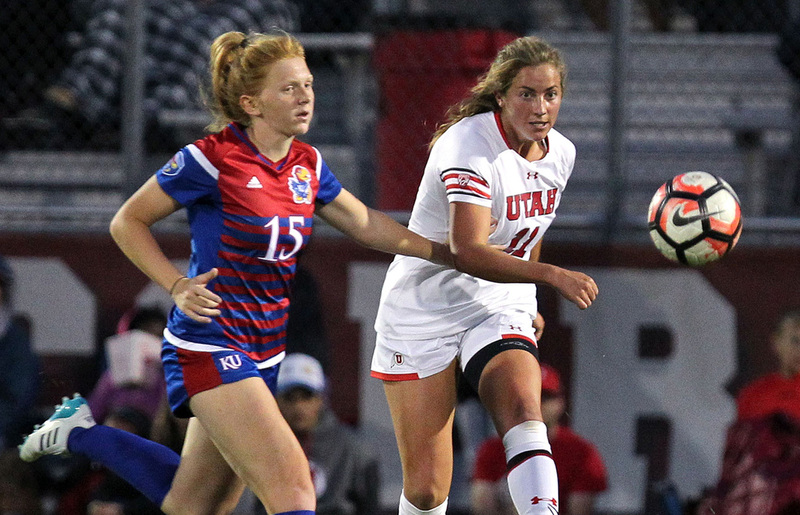 Burt became the first Utah player to earn a call-up to the U.S. National Team. Lindsey Luke was a fourth-round pick by the Seattle Reign in the 2016 NWSL Draft. 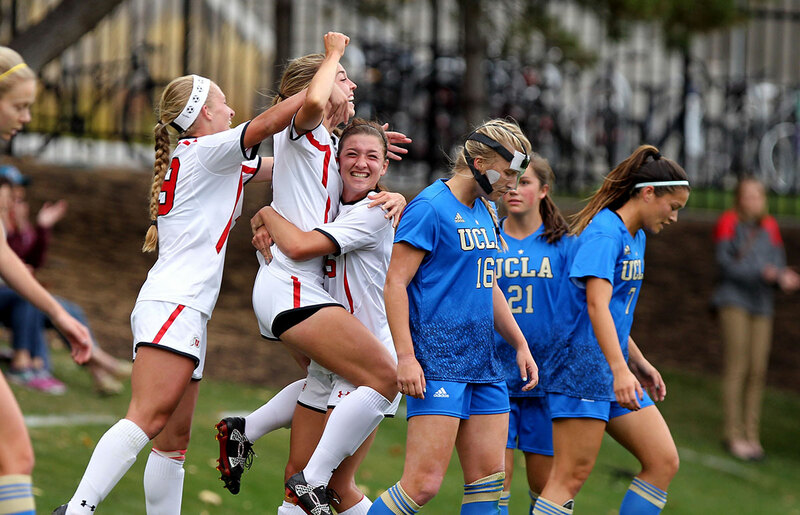 She earned second team All-Pac-12 and NSCAA All-Region honors. 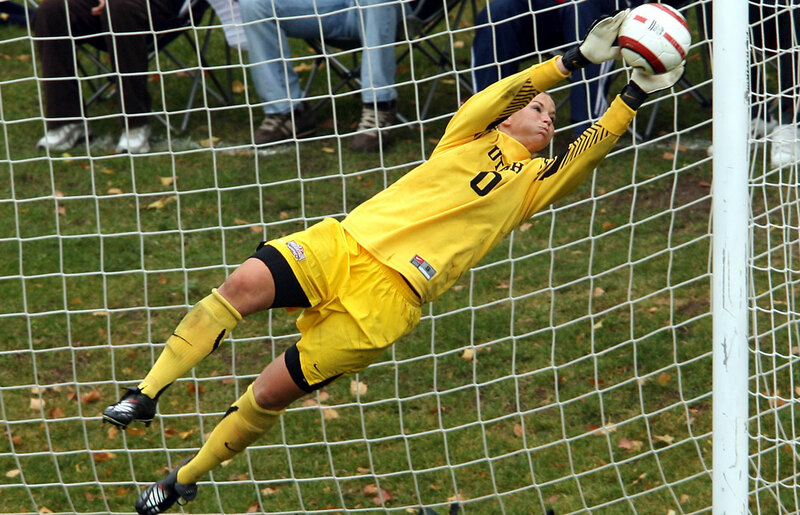 In 2013, she set the Utah single-season mark with nine shutouts and ranked fifth in the nation in save percentage. 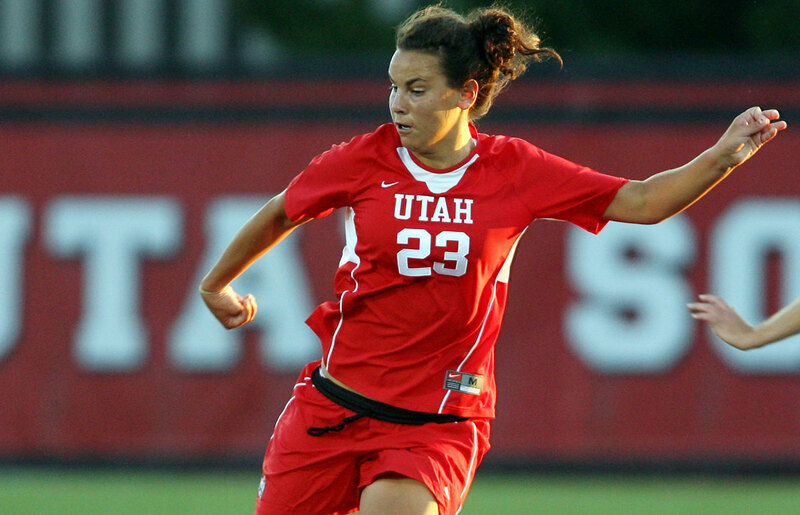 Allie Wisner captained the Utes to the 2013 NCAA Tournament and a third-place finish in the Pac-12. She played for Anderlecht (Belgium) in the BeNe League and has been an amateur player in the NWSL for the Seattle Reign, FC Kansas City and now the Orlando Pride. "We love working with the ball, playing ball and having a ball. There is nothing like testing yourself to be your best alongside great people. Our team is bursting with players and staff that love the game and want to push each other. I love coming to the University each day. We have such a positive and energized environment. We love representing the Utes. And I see our players every day achieving great things on and off the field. It's AWESOME!" 168 career wins with 67 conference wins and 7 NCAA Tournaments. Three top-five Pac-12 finishes since 2011. 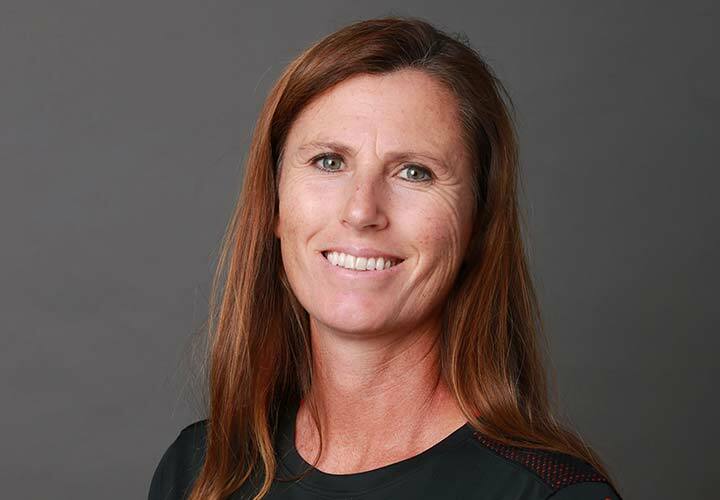 Assistant at Santa Clara University (3 College Cups, including the 2001 NCAA Championship). Graduated from Santa Clara University (played on the men's team). "Success is no accident. It is hard work, perseverance, learning, studying, sacrifice and most of all, love of what you are doing." Promoted to associate head coach in 2018. 6th season on the Utah staff, including five years as an assistant. 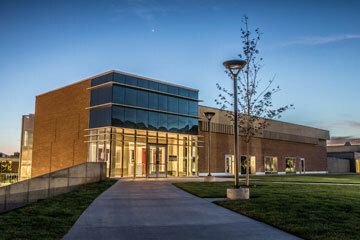 Assistant at Pacific Lutheran University in Washington and Tacoma Community College (Men). 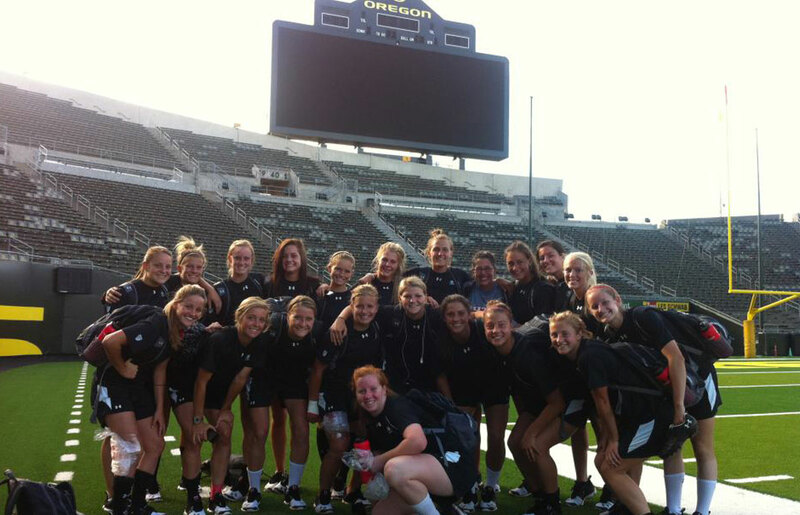 Washington Premier Club and ECNL Director, Washington state ODP and EDP teams, Region IV ODP Girls 96s assistant coach. "Success to me is giving your best effort consistently, embracing the challenges, getting back up, and having just enough GRIT to finish what you start. It always boils down to hard work. Talent, opportunity, winning all look a lot like hard work. Every time one of our players reaches a milestone or finds their daily success, this is winning." 7th season as an assistant at Utah. Head Coach at Utah Valley University (started the program). 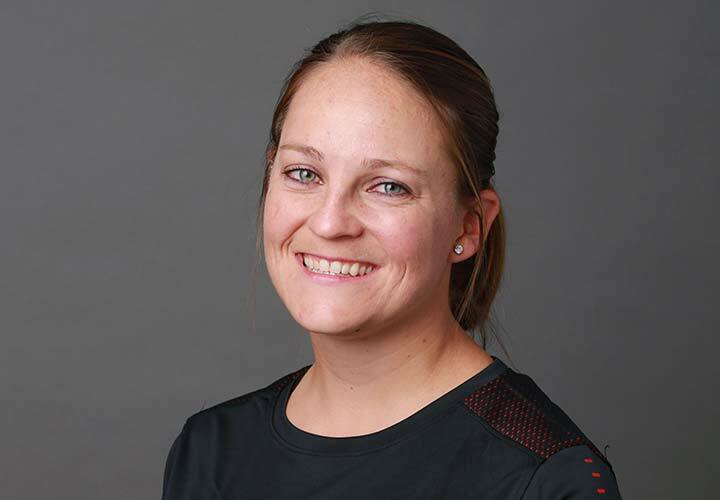 Utah Avalanche Girls' Soccer Club Director of Coaching. Graduated from Brigham Young University (played on the team). "I would like to thank Coach Manning for this great opportunity. I am very excited to work with these players. I am very familiar with the program after playing under Coach Manning and can't wait to work with an outstanding group of goalkeepers." 1st season as an assistant at Utah. Played for the Utes from 2010-13, earning Pac-12 and Mountain West All-Academic honors. Coached Salt Lake area club teams Utah Glory and Utah Avalanche. 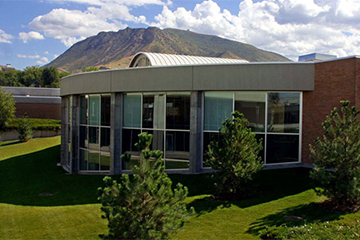 Bachelor's degree from Utah and earned a nursing degree from Westminster College. 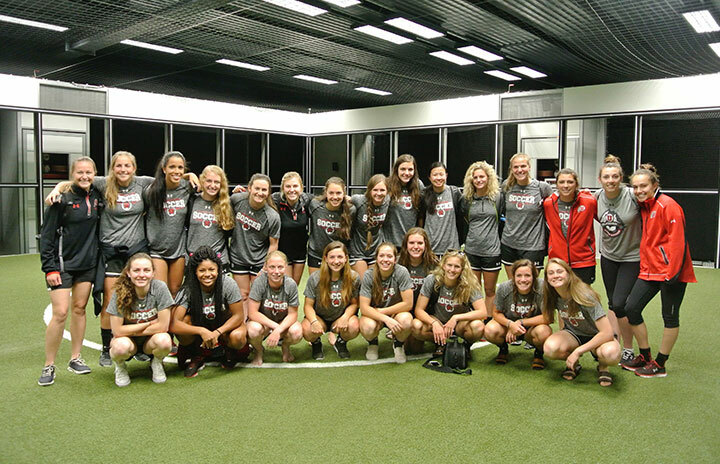 Works as a nurse at the U.
Utah Soccer utilizes some of the finest facilities in the nation. 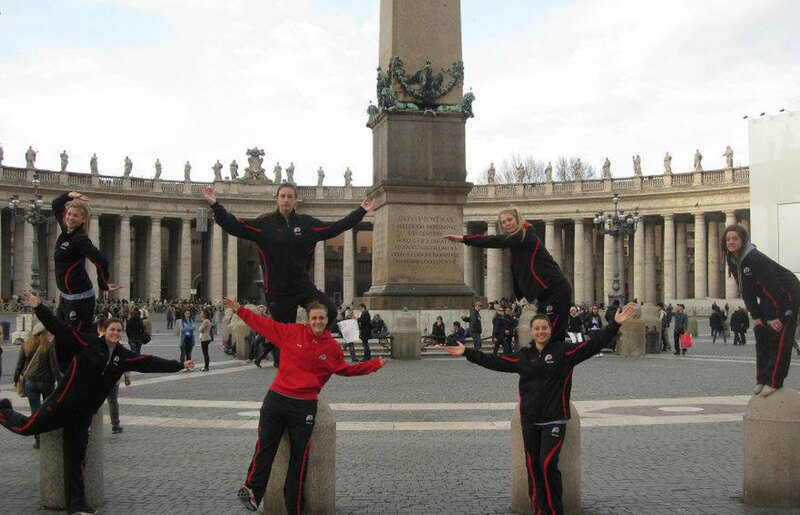 For more, go the official Utah soccer team page. I make sure the facility is top notch and that the games and TV production run smoothly. I keep the players equipped with the best gear and feeling fresh each day. I oversee soccer and other sports to make sure the athletes have all they need to have a world-class experience. I run the mentoring program as well as direct internships and post-college career guidance. I work with admissions and help with NCAA compliance. I work with the players in nutrition and keep the fueling stations stocked with the best food. I keep players healthy and work with our coaches and doctors to help them perform their best. I coach the goal keepers to be at the top of their game. I help coordinate training, games, events and more for the team. I make sure the team is prepared to perform its best and the players reach their potential. And I give lots of high fives! I create an exciting game environment and scream to the mountain tops about our team and the players. 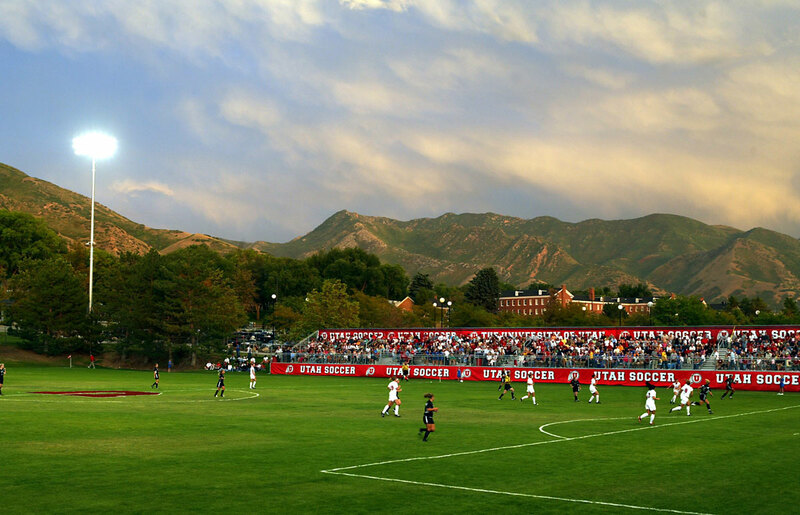 I work with marketing to create great logos for advertising and help make the amazing Ute Field beautiful. Our players deserve a world-class playing surface. I keep it that way year-round.